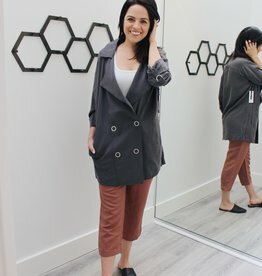 The perfect duster to transition from winter to spring! Black open duster with silver details on either side to adjust the waist. 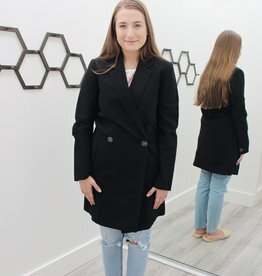 Perfect black coat for going out! Ribbed material and 4 buttons for a more dressier look! 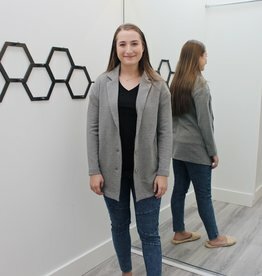 A relaxed fit and casual blazer style jacket, dress it up or dress it down!